Official Savio Factory Replacement Filter Pad for Savio F060 31" FilterWeir and F070 Livingpond Filter. 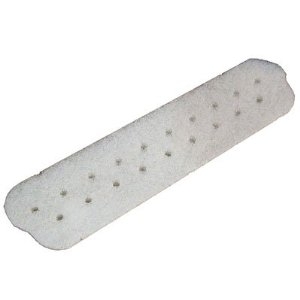 The F060 31" Filter Weir comes with one of these filter pads and the F070 Livingpond Filter comes with two of these. Please note that the holes in these filter pads are there for a reason and are purposely cut by the factory.